David Douglas was murdered on 1 July 2016. THE SPECIAL CRIMINAL Court will be asked to infer that one of the ‘many fingers on the trigger’ in the killing of a Dublin shoe shop manager was that of Frederick “Freddie” Thompson. Sean Gillane SC, prosecuting, was giving his opening speech in the 37-year-old’s trial at the non-jury court this morning. Thompson, with an address at Loreto Road, Maryland, Dublin has pleaded not guilty to the murder of David Douglas on July 1st, 2016 on Bridgefoot Street in the city. The 55-year-old was shot dead shortly after 4pm, as he ate a curry in his partner’s shoe shop, Shoestown. He had been shot six times to the head, neck and throat. A semi-automatic pistol with its serial number removed was found next to his head. Gillane told the three judges that they would be asked to infer that Thompson and others were acting together in the carefully planned execution of another human being. “The prosecution does not say he carried out the physical act of killing,” he said. There was one hand on the gun but many fingers on the trigger, so to speak, and the prosecution case is that one of those belongs to the accused. 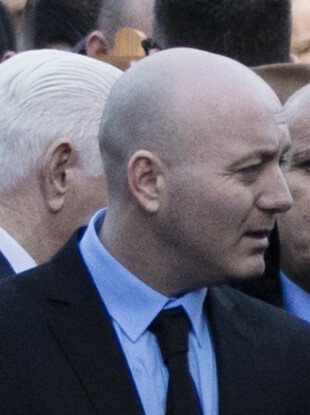 Gillane explained that the prosecution case was that four vehicles and their occupants were operating in concert that day, and that the court would see CCTV footage of their movements. These included the ‘ultimate murder vehicle’, the Mercedes that transported the shooter to and from the scene. This was later seen being burnt out, with one of the occupants being burnt in the process. The other three vehicles included a Ford Fiesta, Mitsubishi Mirage and a Suzuki Swift, the latter also observed being set alight. “There was a forensic examination of all vehicles,” said Gillane. He explained that the State’s case would be that two finger marks belonging to the accused were found on the rearview mirror of the blue Mirage and that two of his finger marks were found on a card in its glove box. Gillane said that Thompson’s finger mark was also found on the internal rearview mirror of the Fiesta. “DNA matching his was found on an inhaler in the blue Mitsubishi and his DNA was also found on an air freshener and hand sanitiser in the Fiesta,” Gillane added. The court then heard from a number of witnesses who heard the gunfire or saw the gunman that afternoon. Shane Egan told Gillane that he was stuck in traffic beside the creche next door to Shoestown. “A man came around the corner, walking, stopping, just looked unusual,” he recalled. He stopped at the shoe shop. He walked into the entrance. His back was turned to me. Then I heard about five or six bangs. He explained that he thought he was hearing fireworks at first. John Shaw testified that he knew the deceased from working in Busy Bees, the after-school service next door to the shoe shop. He described him as very pleasant, and had given him a left-over bowl of curry just moments before the shooting. He too thought he’d heard fireworks when he heard the first bang. He said the man was also wearing a hood or hat and a balaclava. On returning to the shoe shop, he found the deceased gurgling and saw holes in his chest. He dialled 999 and was following the call taker’s instructions, when a crowd began to gather. “There were people with mobile phones taking pictures,” he said, explaining that he’d wanted to close the door but that Douglas’ feet were blocking it. “David’s daughter came from the other part of the shop and just lost it completely,” he said. Professor Patrick Plunkett was a specialist in emergency medicine at St James’ Hospital, where David Douglas was rushed shortly afterwards. He told Gillane that he and his team had been warned that somebody was coming in with gunshot wounds, so they were waiting. He said that David Douglas had no verbal responses, his eyes were closed, and he wasn’t making any voluntary movement on instruction. He was also in cardiac arrest, had penetrating wounds to his sternum and had no palpable cardiac output. Symptoms and tests indicated that he probably had injury to the major vessels at the base of his neck, he said. The trial continues before Mr Justice Tony Hunt, presiding with Judge Flannan Brennan and Judge Gerard Griffin. It’s expected to last up to two weeks. Email “Freddie Thompson was 'one of many fingers on the trigger' in killing of man, court told”. Feedback on “Freddie Thompson was 'one of many fingers on the trigger' in killing of man, court told”.